I pride myself on being responsive via email. My colleagues probably get sick of me talking about Inbox Zero, and my family probably despise me for keeping a mobile device nearby too often, but it's how I work. Until recently, my workflow has pretty much involved GMail, GCal, GTasks, and GDrive. I have given workshops and presentations on "Striving Towards Inbox Zero", and I haven't had much reason to change. 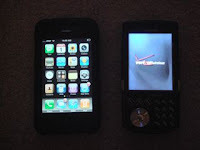 However, Google's increasing attention to Reminders and their lack of love for GTasks have gotten me thinking about alternatives and not holding my breath that they will magically merge the two applications. Add to that the resurrecting buzz that Google Keep is generating in the edtech circles, and you've got a perfect time and opportunity for a change. That and it's spring break, which also explains my back to blogging status. So, the biggest change is not using GTasks anymore. I'm slowly but surely migrating all of my tasks over to Google Keep. 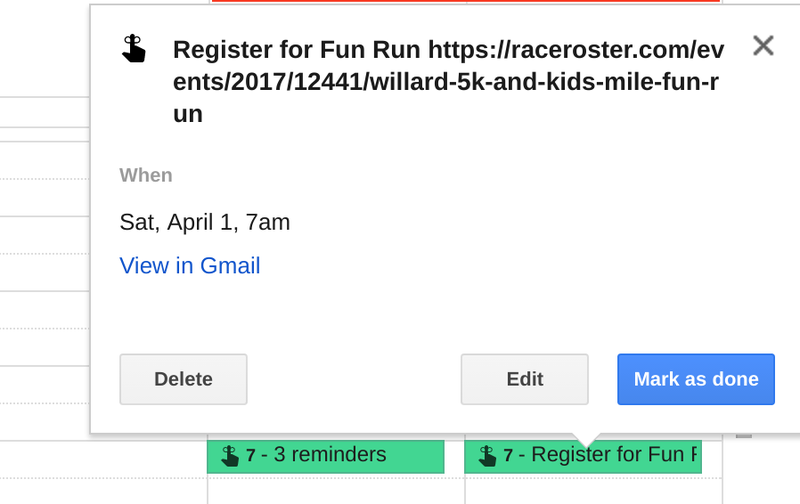 One of the biggest reasons for me not changing over sooner was the one feature that Gmail has where you can "Create a Task" from an email. I loved this, shared it at conferences, and it was my way of creating an action item from an email. 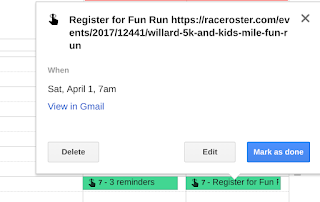 Google Keep didn't have a way of doing this, and it wasn't until I rediscovered Inbox by Gmail, Google's pet project, second email application, that I realized that this feature has been there right under my nose the whole time. 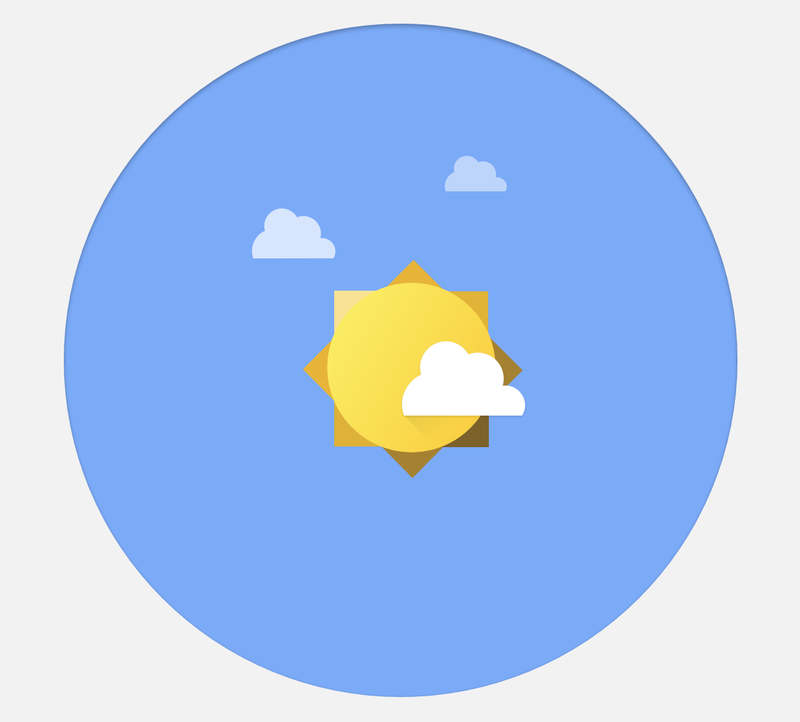 Without a doubt, Inbox takes some time to get used to, but I think I've figured out how it can and will work for me. First, that email task creation bit. If you pin an email, you'll have a Reminder field pop up where you can create a task. Now, the part that I had to come to terms with was how to set a due date for this task. That's where the Snooze filter comes in. It's not the best term IMO, but I guess it fits the bill. I mean, that's what I'm doing here, isn't it? I'm delaying a response to this email, and creating a reminder (task) for me to complete it at a later date. I'm snoozing on the email. Once created, we then see where the benefits of being a reminder and not a task come into play. Reminders can be found on one's GCalendar (at their respective date/time), and look, there's the "View in Gmail" link to take me back to that message directly. Just like Tasks, and hopefully future proof from being sent to the Google Graveyard. Back to Snooze. In this case, it's not merely that "If you snooze, you lose", but rather quite the opposite. In Inbox, unlike Reminders, which seem to list all of your reminders in the order that you added them (not at all useful to me), Snooze has them listed in the order of upcoming date/time. That's what I want to see, that's how I've always used my task lists, and that means I'll be cruising the snoozin' quite a bit more often in Inbox. More to come in a future post on Google Keep - it's quickly becoming a "go-to app" and "must-open tab" for me.